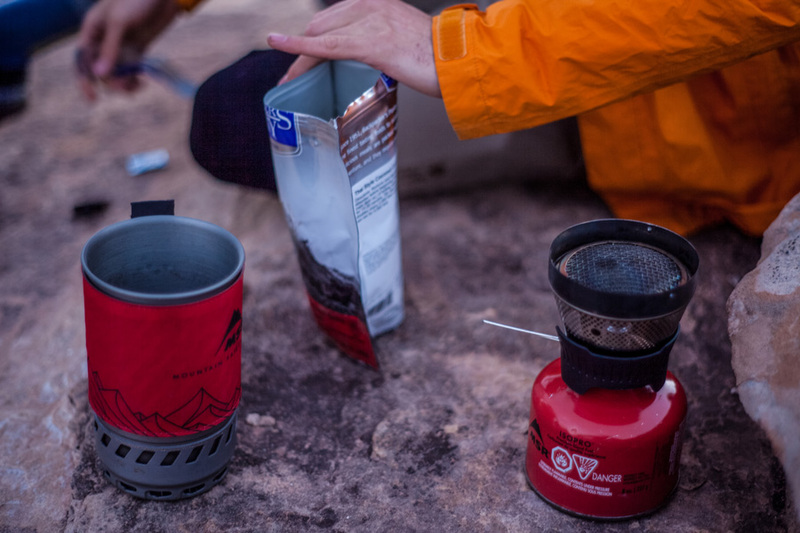 While some record-seeking ultralight fast packers will never choose to sacrifice ounces for the convenience of a backpacking stove, Active Junky is a big fan of including a stove in our gear. Whether you need to purify water, prepare meals or wake up with a morning cup of coffee, there are plenty of reasons to pack along a stove. Active Junky has pulled together some of the best car camping and backpacking stoves to review and help lead you to your perfect camp stove. If you’re looking for the smallest backpacking canister stove or a basecamp stove to serve a whole troupe, we’ve got you covered. And don’t forget to sign up for Active Junky for exclusive deals and cashback on your gear purchases. 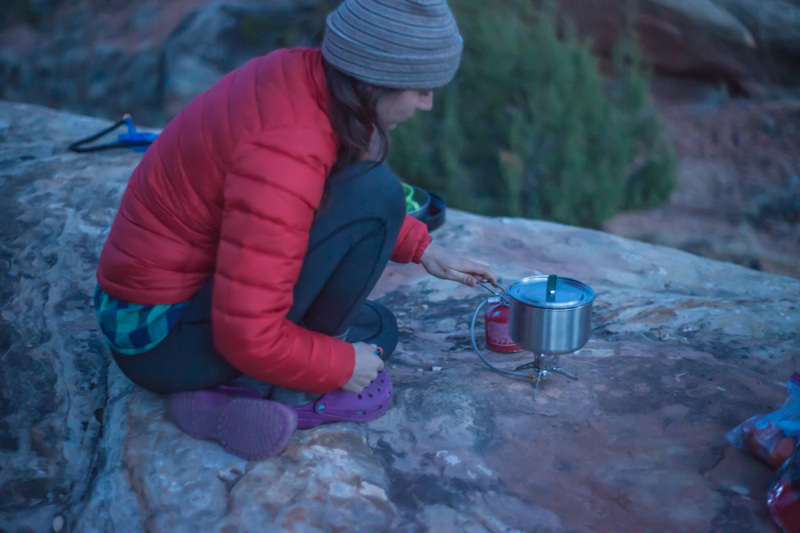 Where Will You Be Using Your Stove? The first major consideration when choosing a stove depends on its primary use scenario: are you packing it into the backcountry where every inch and ounce count, or will you be lugging it a short distance from your vehicle to basecamp while car camping? The best backing stoves minimize space and maximize fuel output. Manufacturers know that you’re not likely gourmet cooking off the grid, and what you need is quick, efficient heat. 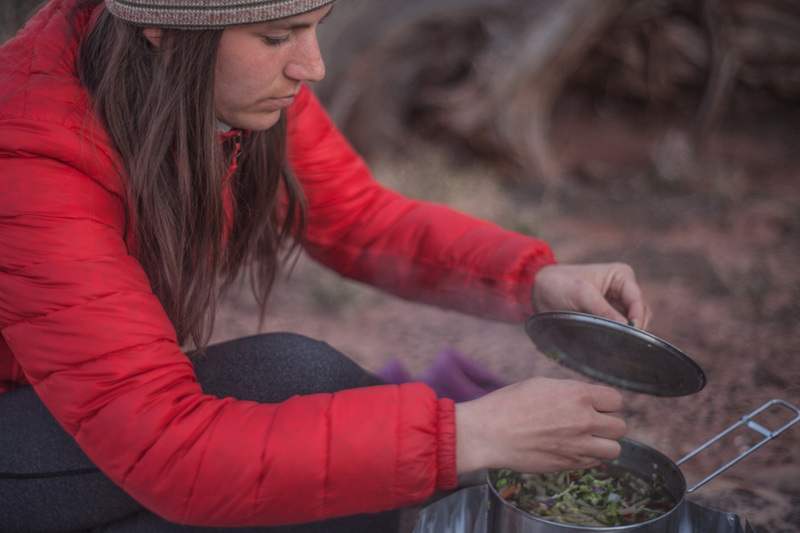 Backpacking stoves are primed to boil water, some also have simmer settings, and warm food. Most are simple stoves that sit on top or to the side of canister fuel. When you’re car camping and weight is less of an issue, you can go all out making meals: pancakes, eggs and bacon for breakfast and hotdogs and hamburgers for dinner is not a problem with most car camping stoves’ dual burners and built-in windscreens. With a focus on cooking real estate and cuisine variety, these stoves are less efficient than backpacking stoves, and you certainly wouldn’t want to haul one around on your back for too long. Which Fuel Type Is Best? Camp stoves require a specific fuel source, though some may utilize more than one fuel type. 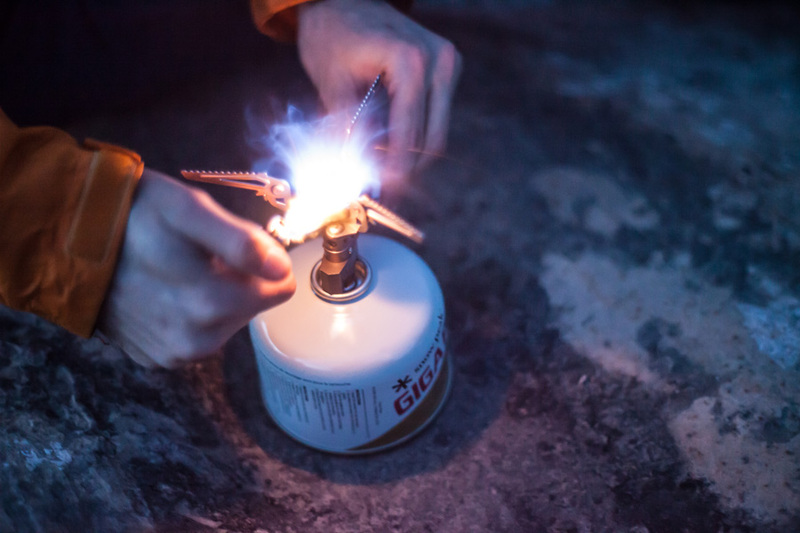 Canister fuel is some of the frequently used in backpacking stoves, and propane is commonly used for car camping stoves. All fuels have pros and cons, and sometimes it’s simply personal preference. Canister fuel stoves are some of the most common options for backpackers and come in several designs: upright, low-profile and integrated. The fuel is typically isobutene or propane, and most canisters are single use, but recyclable. When referring to liquid fuel, we primarily mean white gas. This fuel is more efficient and therefore preferred on cold-weather adventures. Some stoves are indicated as “multi-fuel” or “international,” which means its compatible with other liquid fuels as well. Diesel, kerosene and even gasoline will do, but they are typically less efficient and put out noxious fumes. Most car camping stoves use propane because it’s cheap and widely available. As such, the car camping stoves in our reviews all utilize propane. Biofuel stoves burn with open flame and rely on foraging sticks, twigs, pine cones, or other dry fuel source is readily available. These are also called solid-fuel stoves, and solid-fuel tablets are an option if you choose to pack in fuel, which is a good backup plan should wood be scarce or damp. Performance: How does the stove complete the task for which it was designed? How quickly does it boil water? Does it include a simmer function? Weight: With backpacking stoves, weight is crucial and can be a deciding purchasing factor. For car camping stoves, weight is inconsequential. Durability: How did the stove stand up during use? Did parts bend or break? Are there components that are concerning or fragile? Versatility: Do the stove use a variety of fuels? Will it function in all four seasons? Can you control simmer, or is it a full-blast beast? Intuitive (Ease of Use): Can you use the stove without the manual? Would a first-time user or child understand the setup? Or is it overly complicated? Innovation: New doesn’t always mean better, but certain innovations and technologies mean a lighter setup, increased efficiency, or additional convenience. While the top canister model of the GSI Outdoor Pinnacle got tester’s attention, the remote hose setup to it to another level. The Pinnacle 4-Season stove is low-profile and allows for the heating element and canister to be adjusted and placed strategically for all weather and temperatures scenarios. Pros: The hose provides more stability, allows the use of a windscreen and increases cold-weather efficiency by allowing the canister to be flipped upside down to increase the fuel flow. The foldable arms also increase stability and compatibility for storage, and it’s notably smaller than similar models from other brands. Cons: While lighter weight than similar models, it is still more than twice the weight of the top-canister Pinnacle stove. Testers also noted that its design is less durable than other models. Best for: Ultralight backpacking, use in windy or colder climates when stability and fuel flow are important. 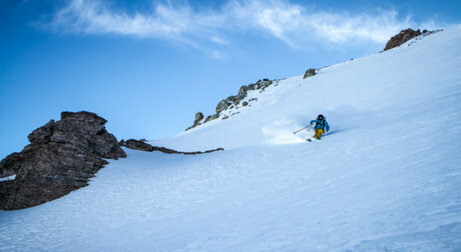 Even after months of use, Active Junky testers continued to be impressed by the MSR WindBurner. In a world primarily dominated by Jetboil, MSR applied their expertise and experience to create this integrated canister stove system. Pros: Aptly named, the WindBurner setup boils water regardless of surround gusts as the pot nestles snuggly into the heating element. The nesting design makes for compact transportation without taking up too much space in your bag. The pot speedily heats up (4.5 minute 1-liter boil time), but the coozy protects from burned hands. Cons: While WindBurner stood up to wind, it was less effective in cold weather, with flames killed when temps dropped below freezing. The stove setup also weighs more than a simple stove, and an integrated systems means you can’t simply leave out parts to cut weight. 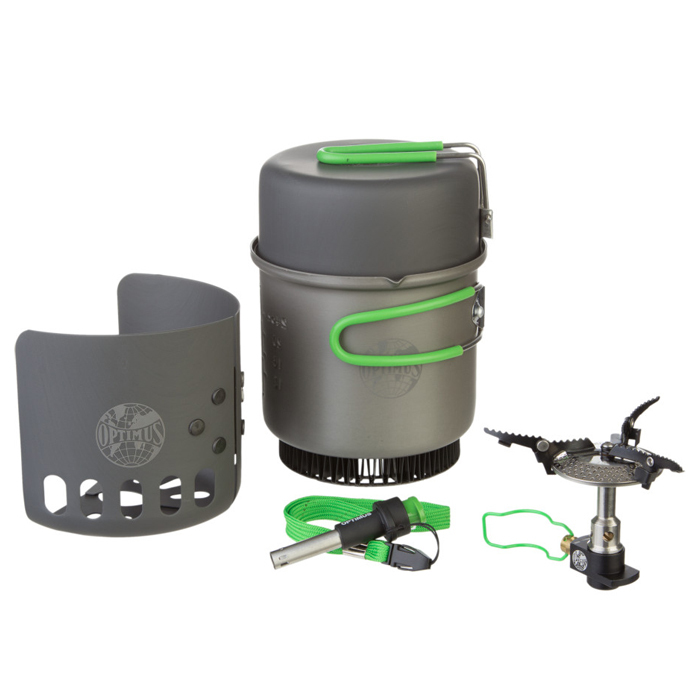 Bottom Line: This integrated stove system is prefect for adventurers preparing solo meals, or upgrade to the 1.8-liter model if cooking for two or more. MSR XGK has been synonymous with expedition kitchens for decades, and the newest EX offers improvements on its classic features that made the original a hit. Pros: The International burns white gas, kerosene, diesel and even gasoline to get things cooking. The burly yet retractable arm offers incredible stability even with varying pots and volumes. Boiling times were impressive, and a heat reflector and windscreen aid in the cooking process. It’s also relatively easy to adjust and maintain in the field. Cons: Being as burly and versatility as this backpacking stove may be, it comes at the cost of ounces. Weighing in at just over a pound, the XGK EX is bulkier than most other backpacking stoves we reviewed. 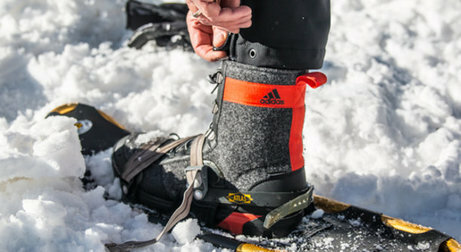 Bottom Line: An update to an expedition-proven model, the XGK EX has a long future ahead of it. No camp stove was as clear a winner as the Jetboil Genesis. It made us reconsider our preconceived notions about what a car camping stove should be or how it can operate. Forget bulky with this Jetboil stove’s foldable design. Pros: It’s quick and simple to set up, and dual burners are paired with easy-to-use controls that foster fast ignition and intuitive simmering. An attachment allows you to add a third smaller burner that’s compatible with your Jetboil pot, and the complete Genesis Base Camp system comes with a quality pot and pan. Cons: The only con here is price. While the Jetboil beats out cheaper competitors in nearly every category imaginable, it may be out of many camper’s budgets. 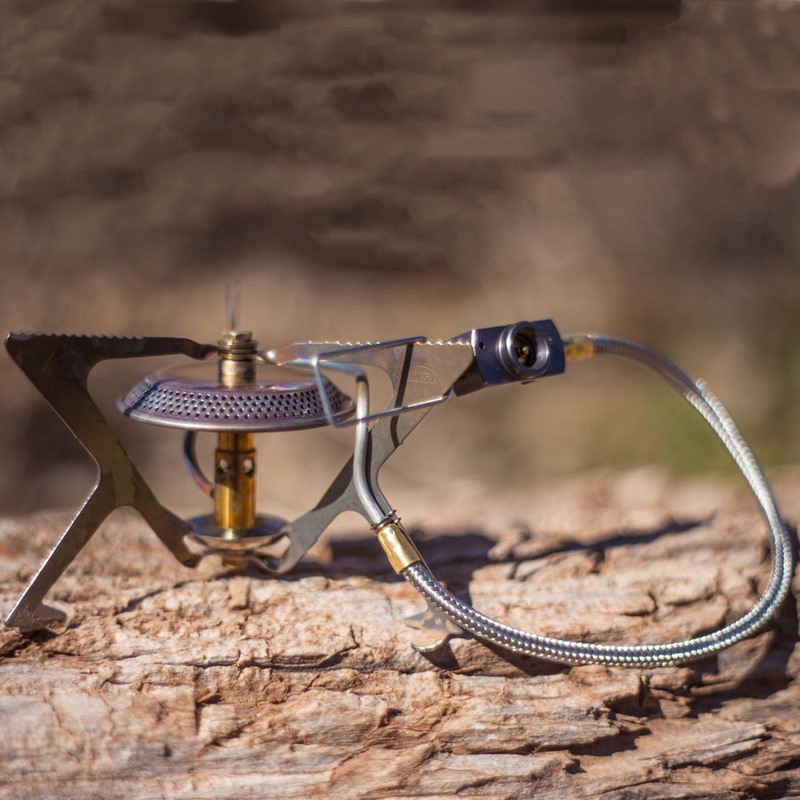 Bottom Line: If you can justify the steep price tag, this basecamp stove will definitely change the game. Whether you plan on hauling it into the backcountry on a sled or setting it up in the trunk of your van, this beast is a winner for a reason. Whether packing for yourself or divvying up a pile of gear in a group, a stove as small as the GSI Outdoors Pinnacle canister top is always welcomed. Not to mention the in-field performance where testers were impressed with its efficiency and the compactness of its foldable arms and overall pack size. 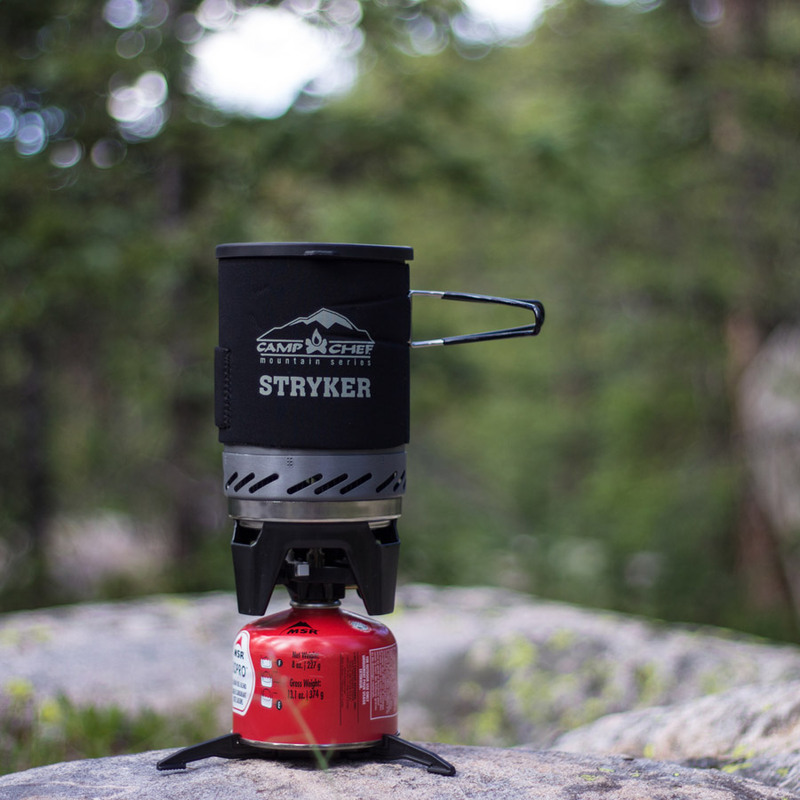 Pros: As the smaller canister backpacking stove we reviewed, size is the clear winner here. The arms fold up ingeniously, and even our through hiking, cold-food testers were down to get in on a little hot food and coffee. Cons: Testers noted some of the foldable joints seemed like they might not stand up to a heavy blow, but in intended use, the stove appeared reasonably durable. The top-heavy design could prove disastrous for precariously perched pots. Bottom Line: This tiny stove may be the next big thing to hit the minimalist market. Best for: Ultralight backpacking. Use as a backup on long expeditions. Active Junky testers agreed that this backpacking MRS stove was a winner when it didn’t miss a beat even while perched lopsided on the side of a canyon rim. Protected by the lightweight windscreen and its low-profile design, a sunrise breakfast was a cinch. 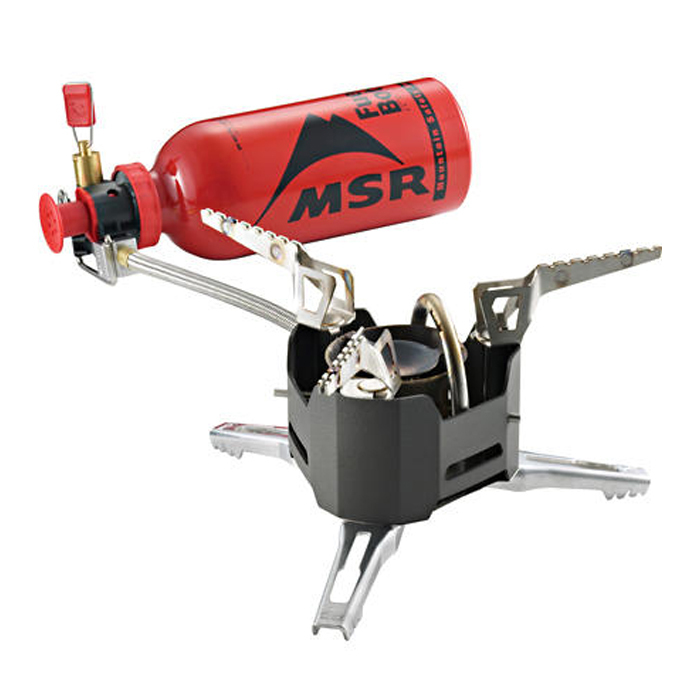 Pros: With its remote canister hose design, the MSR WindPro II does an excellent job of utilizing fuel by flipping over the canister allowing fuel to flow down into the hose. This inverted position is also ideal for cold weather efficiency. This was one of the most stable canister stoves we tested. Cons: With great stability comes a sacrifice of weight and size. The WindPro II is slightly heavier and buliker than the similarily designed Pinnacle 4-Season stove. And even with the inverted canister option, our testing team would prefer white gas for colder weather. 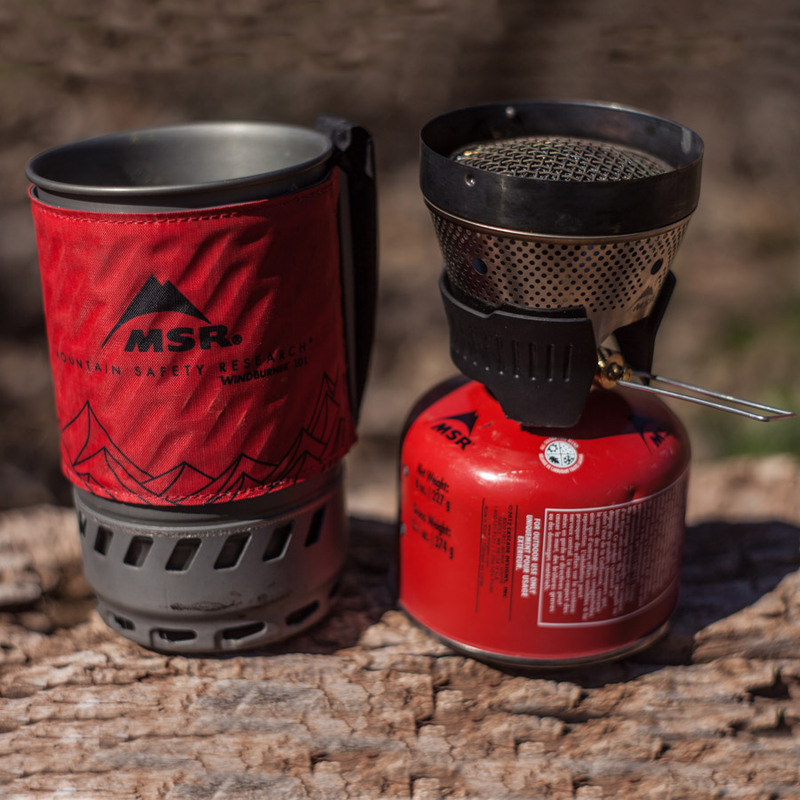 Bottom Line: This MSR stove offers the stability of their fabled Whisperlite designs in a canister fueled package. Backpackers looking to go fast and light in wind-stricken terrain won’t go wrong with this MSR model. Testers took this Optimus stove high on a windswept ridge in southwest Colorado for its big moment. The Elektra Fe cooking system is well-conceived and durable that comes in a reliable package that chooses durability over ultra-light carrying. Pros: By offering fast heating with durability superior to aluminum, the Elektra Fe Cook Systems effectively mimics the performance characteristics of titanium at an advantageous price. Pot and windshield bends and edges are immaculate as is the handle riveting designed for years of on-trail maneuvers. Once lit, burner adjustment is smooth, particularly at higher outputs in a system that allows simple (but small-scale) cooking in the lid beyond merely boiling water. Cons: While the 180-degree clip-on windshield brings some efficiency to the system – beyond the pot’s heat exchanger – as well as easy access to burner control, it carries less utility in environments where the wind is sporadic or shifting. As such, the max 10,000 BTU output can be squandered with wrong-way breezes. Bottom Line: For frequent campers and occasional backcountry travelers, the Optimus Elecktra Fe Cook System will handle most chores and is expected to endure the rigors of travel for years of high-output happiness. After running with this little integrated Camp Chef system for several months, Active Junky testers continued to be impressed with its consistent performance. All over Colorado, from late fall to early spring, the Stryker has been a welcome addition to our backpacking testers’ gear arsenal. Pros: The boil time is solid (half a liter in approximately two minutes), and the insulated sleeve works well to permit easy handling of boiling heat. While testers picked the MSR WindBurner over the Camp Chef Stryker, this integrated stove has one major bonus going for it: the matchless ignition system, especially useful in wet or windy weather. Cons: This Camp Chef stove doesn’t seem to be as durable as the WindBurner, and while the ignition system is handy, it could cause issues if it ever were to fail. Bottom Line: A cheap integrated stove system that has a lower price tag than both MSR and Jetboil. This is our pick for the stove with the best value. 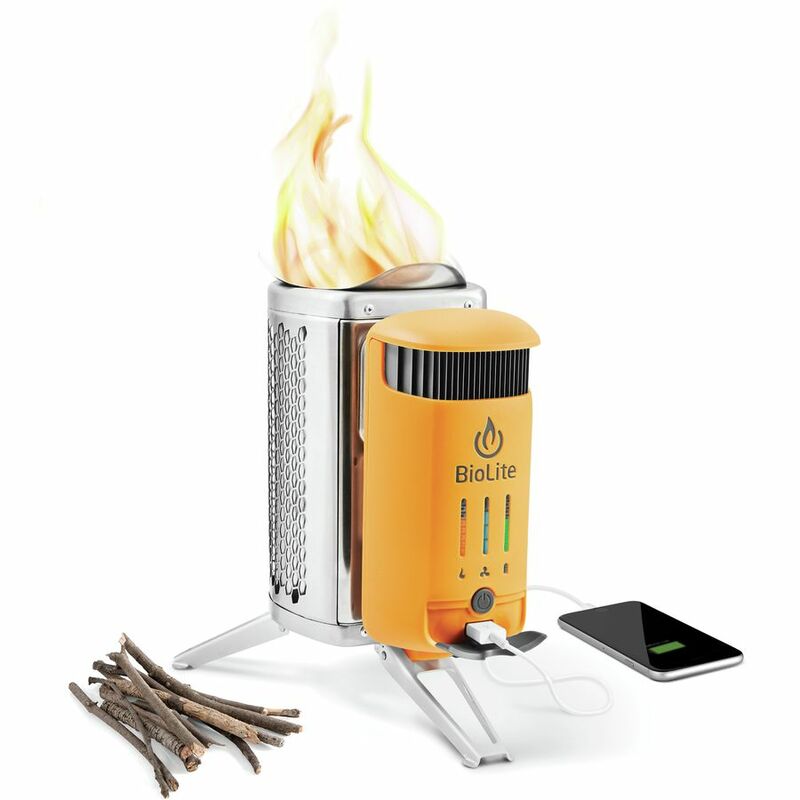 The Biolite CampStove 2 certainly stands out among the competition for a couple of reasons, the main being fire transferred to electricity with the battery pack complete with LED dashboard and USB plug to charge your devices as you’re cooking. Pros: Burning bio fuel means that you won’t have to pack fuel, which can be a huge bonus on long backpacking trips, especially if you’re cooking for several people. The USB charging option is a cool bonus, though testers noted the charge was not overly powerful though on par with many solar chargers. Cons: Weight is the clearest negative here, weighing over two pounds for just the stove and battery alone—not to mention any pots. However, if you divvy up the weight between two or three campers, and not having to pack fuel, the weight would be less of an issue. Burned ash in the stove also accumulates over extended use and affects performance. 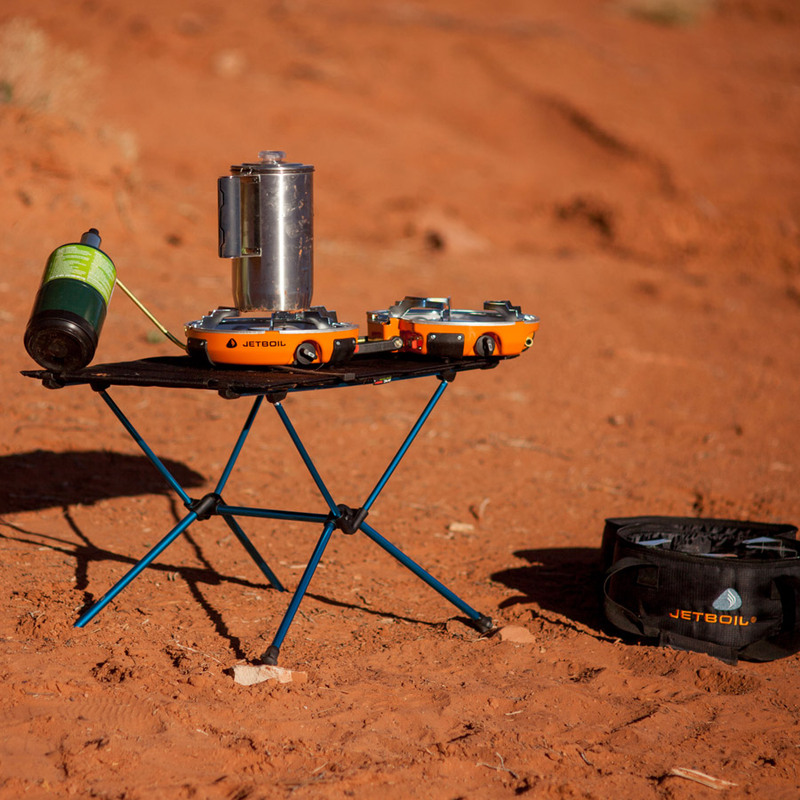 Bottom Line: Fancy technology aside, the Biolite CampStove 2 is less of a backpacking stove than a simpler car camping stove, especially if you opt for accessories like the kettle and grill. Much more than the Coleman you or your parents had in previous decades, the Coleman Roadtrip LXE. 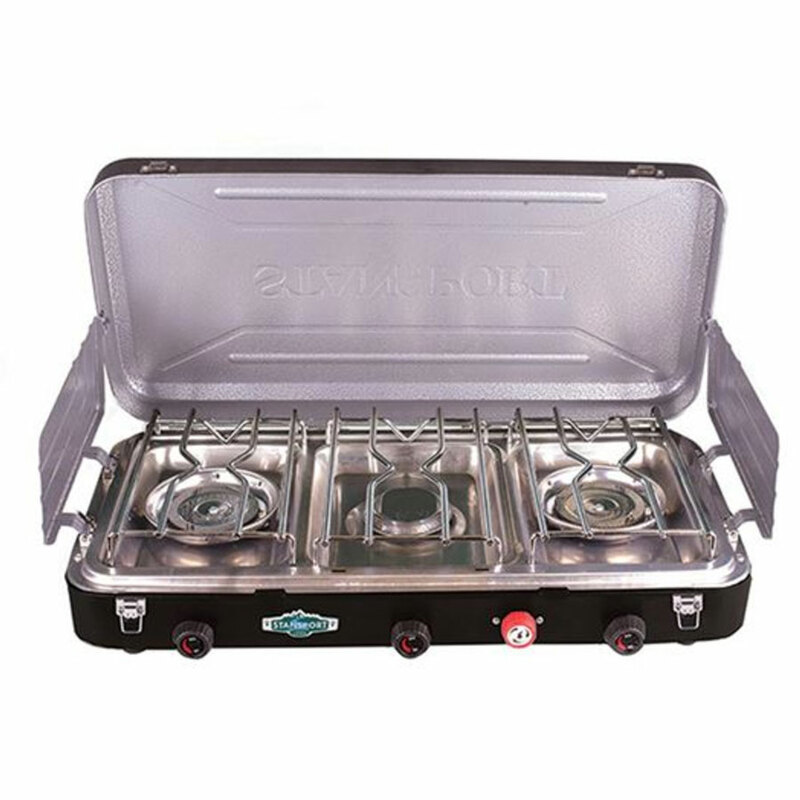 Dual burners easily accommodate larger camp groups by divvying up cooking portions. 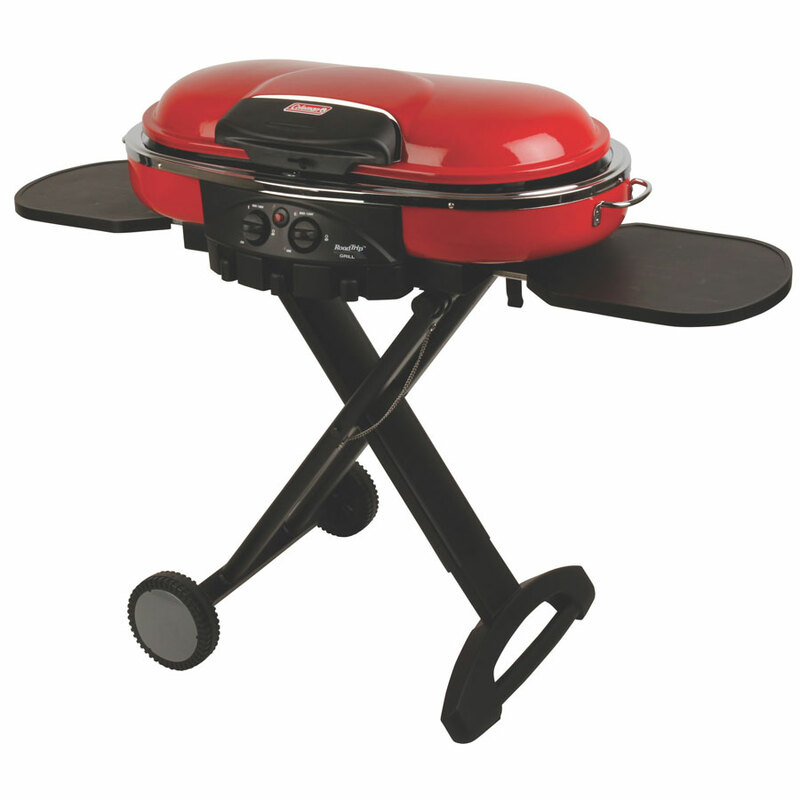 A great choice for camp kitchens, especially with its collapsible and portable design. Pros: With 285 square inches of cooking surface, you can feed a large group with this Coleman stove. Its dual burners are independently adjustable and come with matchless lighting. It’s easy to move around with its collapsible and compact design. Cons: At 55 pounds, this is not the lightest of stoves, even in the car camping world. Testers also noted that it can be a bit difficult to clean. Bottom Line: This Coleman car camping stove is a solid option that offers excellent cooking space and even heating. 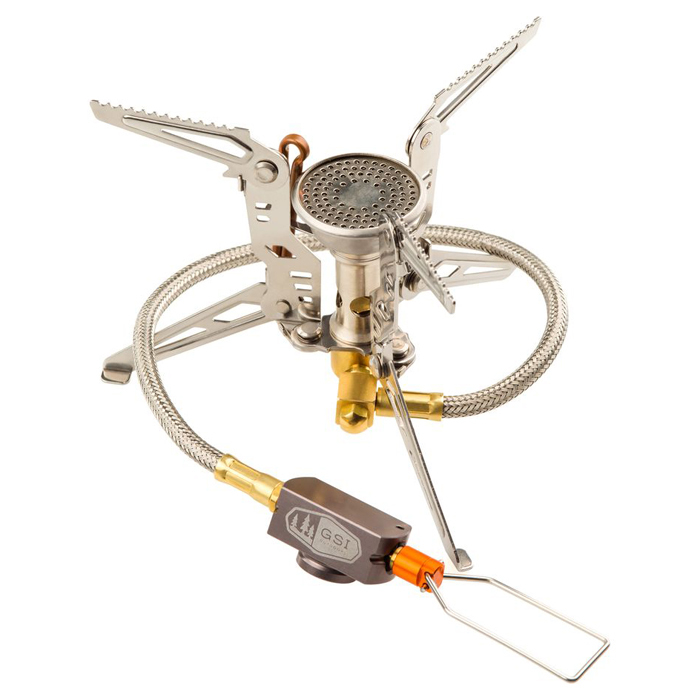 The Stansport 3-Burner is a standard propane camp stove that balances weight and performance with three high-output burners, matchless ignition and a heavy-duty cooking grate and stainless steel design. Pros: Three burners provide high output: two outer with 25,000 BTUs each and 10,000 BTUs from the center. At only 15 pounds, this stove is much easier to lug around than some, like the Coleman Roadtrip. Cons: The high output of the burners can sometimes be too much—simmering is challenging and low settings can still be too hot for some cooking. The price tag is also a bit higher than similar table-top stoves from competitors. Bottom Line: The Stansport 3-Burner’s large size makes it an ideal choice for groups who require cooking with large pots and pans. The powerful burners heat quickly, and the electronic starter speeds setup time.